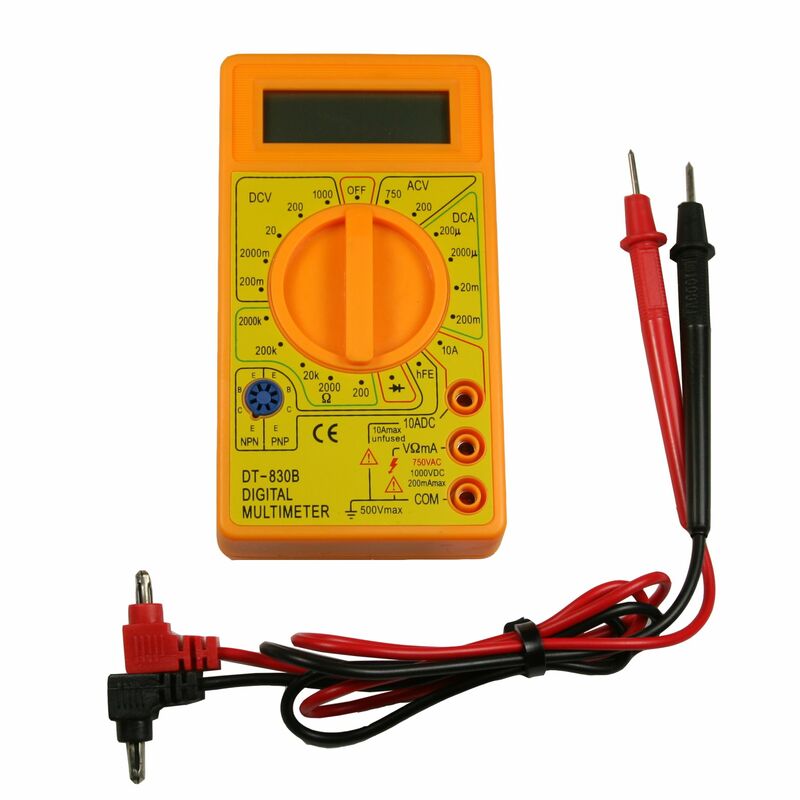 The DT-830B Digital Multimeter Measures AC and DC volts, current, resistance (ohms), diode continuity and transistor hfe. The DT-830B weighs less than a pound and can be used to check battery voltage, solar panel open circuit voltage, solar panel milliamp (amp) output, battery charger voltage output and settings, continuity in an electrical circuit, and many other uses. Do you own the DT-830B? Please, tell us what you think about it. It helps us provide you with better products. Please note that it may take up to 72 hours for your review to appear.